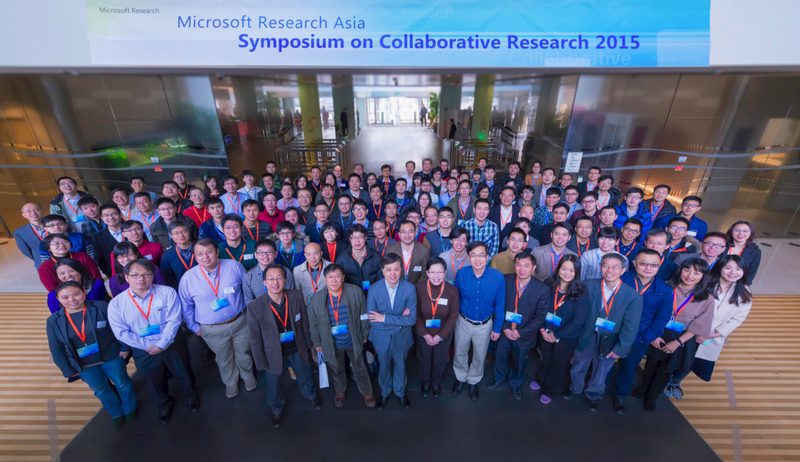 The 2015 Microsoft Research Asia Symposium on Collaborative Research was held on November 27 in Beijing, China. 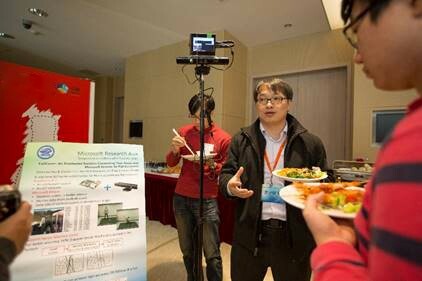 Professors from China, Hong Kong, Taiwan, and Singapore gathered at this first annual event to present their work and discuss cutting-edge innovations in their industries. 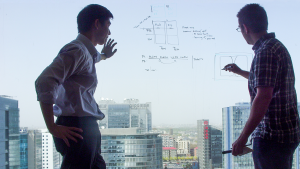 Microsoft Research Asia, founded in communication and cooperation between industry and academia, is dedicated to facilitating interdisciplinary and cross-fielded research. This dedication fuels world-class computer science research and innovations in the Asia-Pacific region. The symposium exhibited some of this ground-breaking and exciting work. Historical relics are important representations of different traditions, cultures, and ideologies. They are invaluable to society, yet not always extremely tangible. In China, digitally preserving these relics and cultural heritage is an essential effort for many museums. 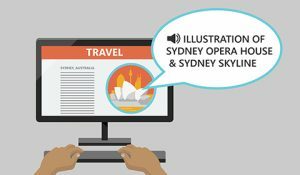 To aid in these efforts, ground-breaking technology was developed to help create digitally produced copies preserving them for generations to come. Digitally recreating a relic involves three distinct phases: digitization, editing, and visualization. First, when a relic is digitized, the physical properties of each relic is recorded and materials, shape, and other characteristics are replicated. The digital relic is then edited with extreme care to ensure that each unique detail from the original relic is represented in the digitally produced copy. Finally, when the relic is physically produced in the visualization stage, interactive design elements are incorporated to make sure the relic doesn’t appear silent and static. A collaboration between Microsoft Research Asia and TianJin University, the project helps ensure that important cultural pieces of our past and present are preserved long into our futures. If you’re not a professional botanist, it can be difficult to remember the names, types, or temperaments of different flowers and plants. But with Project Blossom, a simple photo of the flower or plant now provides all the information you need to know. Plant taxonomy is fundamental to plant sciences and agroforestry and can also be extremely useful to the general public. Understanding classifications can help every gardener plant a more successful and healthy garden. Plant classification is difficult and arduous and requires expert level skill to identify community, phylum, class, order, family, genus, and species. 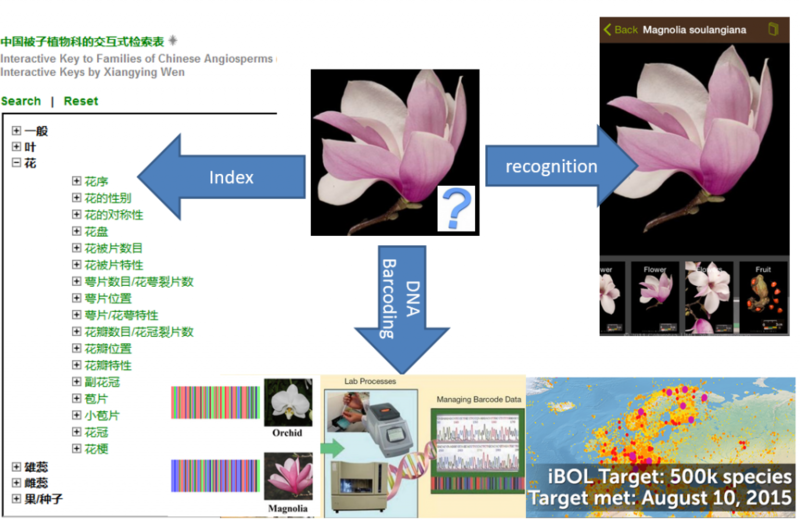 Using a sophisticated learning algorithm, Microsoft Research Asia and the Institute of Botany at the Chinese Academy of Sciences worked together to classify over 2.6 million botanist-labeled flower pictures. This effort helped formulate a smart flower recognition and knowledge system, Project Blossom. Now with the aid of technology, flower expertise is available to any and all who need it. Today, many healthcare systems are working on new ways to improve care for the elderly. Fall detection and prevention is particularly important as falls can be extremely dangerous for this population. Previously accelerometers, gyroscopes, and cameras were used in fall-related technology, but they proved unsuccessful due to challenges in privacy, accuracy, convenience, run time, or practicality. To overcome the issues of the past, a new solution was created called FallCare+. FallCare+ is a real-time, highly accurate and extremely private fall prevention system. When someone wears a Microsoft Band and is within range of a Kinect for Windows sensor, their activity is monitored and sent to the Microsoft HealthVault. The data in Microsoft HealthVault is continuously updated and serves as a real-time medical record. If the person falls or has an accident while in range of the Kinect for Windows sensor, FallCare+ immediately detects it. An emergency alert, in the form of a text message, is then sent to both family and medical services. A full medical record, including blood pressure and heart rate, can be retrieved at any time from the Microsoft HealthVault. Hosted on Microsoft Azure, FallCare+ provides a reliable, intuitive, and meaningful system for saving lives and caring for the elderly. Microsoft Research Asia is committed to world-class computer science research and innovations. In scientific research, interdisciplinary communication and cooperation between industry and academia are critical to uncover findings of both theoretical and physical value. Microsoft Research Asia will continue efforts to partner with scholars from China and across the world, building new ideas and making scientific contributions to a global community.